Are you looking for some best video conferencing services which can be used to conduct the online meetings? Or, Some very low-cost video conferencing software for free screen sharing, online meetings, and team collaboration etc.? Conducting business meetings is now super easy with the help of video conferencing technology. You can use video conferencing service to chat with your clients, boss even if they are in another country. Real-time business meetings can be set up by using any online video conferencing service as one can add up to 25 people using the best online meeting service or video conferencing software. There are many people who do know what is video conferencing and how does it work? If you are also among all those peoples who are not familiar with the concept of video conferencing or online video conferencing technology then you can find out all the information about it below. Video conferencing means communication between two or more than two peoples using telecommunication technologies with the support of video and audio. If two participants are far away, even in different countries then they can use video conferencing to start communication both in visual and audio forms. Anyone can make free video calls by using a powerful video conferencing app or best online meeting service. There are many web meeting services which will help you in making video calls for free and establishing a connection between two people. You can use your computer, laptop and even your mobile phones to start video conferencing or web conferencing meetings as you just have to install a simple video conferencing software and then add the contact with whom you want to start video conferencing and you are done. With just a single click, you will see the person you want to video chat with on the computer screen. What are the Video Conferencing Advantages and Disadvantages? In order to conduct online meetings or video conference, you don’t have to fly to another country as it is possible with web meeting services. Using video conferencing software and web conferencing services, you are having visual contact you can see the body language of your client, employee. One can work together as documents can also be shared using the best video conferencing services. Not only you can use video conferencing for business, but you can also stay in touch with your friends and family. Video conferencing is also used by a lot of medical personnel’s as the people who are living in remote areas and are not able to seek immediate medical help can use video conference in the hour of need. Video conferencing can prove to be expensive for large scale business as along with the software you might also need a new set of hardware. You need a high-speed internet connection. There are many companies which specially use a separate connection only to use some best online meeting service and video conferencing services. Even if you are having a high-speed internet connection, you might experience some lags or drops during the video call if you use a very powerful HD video conferencing equipment. You can check the body language but you won’t be able to know someone or get the experience which you get when you are conducting a meeting in person. Skype is one of the most popular and best free video conferencing services. Using Skype, you can make voice calls with up to 25 people at once and video calls with 10 people. You don’t need any premium account as this is a free video conferencing solution. There is also a premium membership plan available which is available for $2 per month and allows 250 participants. 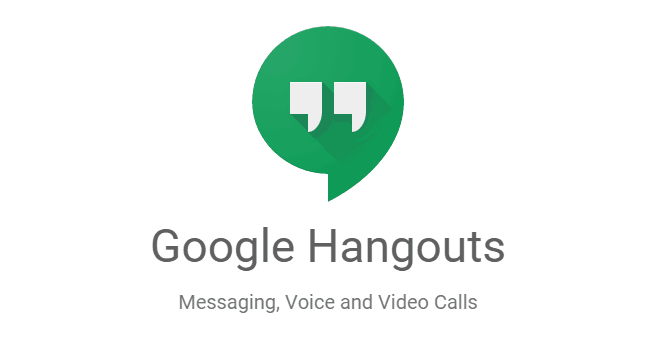 Google Hangouts is a web-based video conferencing solutions. The service is developed by Google and the hangouts which you are going to start using the app can be accessed via smartphone, tablet and computer. You can use your Gmail or Google Plus account for using this service. If you are having an HD camera you can use it for starting 720p HD hangouts. Oovoo is a video another video client chat and best online meeting service which you can download for free. Using this web video conferencing service you can add up to 12 people to your video calls. 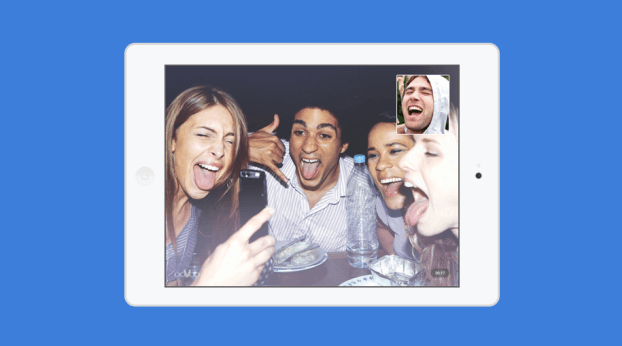 You can save the video calls in the online cloud account which you make using Oovoo. There is also an option to watch Youtube videos while you are on video conferencing. Using AnyMeeeting video conference service, you can use six webcams at once and enjoy HD video conferencing online. This means that you can add the maximum number of 6 peoples in a video call which you are going to start using AnyMeeting. The quality of the video will resize automatically as per the number of participants are there. This web video conferencing service is available for iOS, Android, Mac and Windows. GoToMeeting is also a very well-known and one of the best video conferencing services to use for free. This service is suitable both for small business and big business owners as you can add from 3 people to 100 participants in a video call. A maximum of 6 people is allowed to broadcast the video in the free plan however if you want to extend it to 25 you need to purchase the Pro plan of the service. WebEx Meetings delivers the best video conferencing experience. There are some amazing video conferencing systems reviews available for this product. Developed by Cisco, WebEx Meetings allows you to add 100 participants in video calls. There are many amazing features of this application some of which are collaborative document management, whiteboarding, desktop sharing and remote control of other people. You can use the free version of this web conferencing service which will allow you to add the maximum of 3 participants however the premium version available for $89 per month allows 100 participants. Meetings.io is really a very simple video conferencing solution which helps you in creating great-looking video chats in minutes. The most important and very interesting thing with Meetings.io web meeting service is that it doesn’t requir any signup process in order to conduct online meetings, screen sharing, and team collaboration etc. Important not: Meetings.io has acquired by Jive Software. 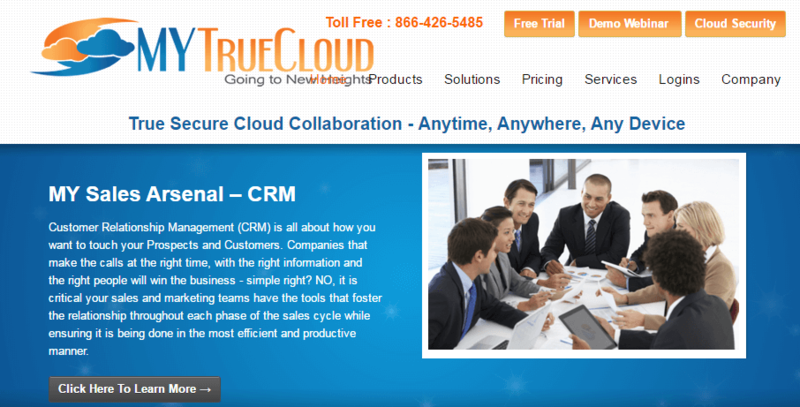 MyTrueCloud is similar to WebEx and GoToMeeting video conference services. In order to use MyTrueCloud web conferencing service, you don’t need to install any desktop client as you can use such easy to use and best video conferencing services for small business via the web. Unfortunately, you have to shed $15 to use this service for 3 participants and $32 if you are planning to add 25 participants in the conversation as it is a premium software. The interface of this video conferencing software is user-friendly which makes it quite simple to use the software. 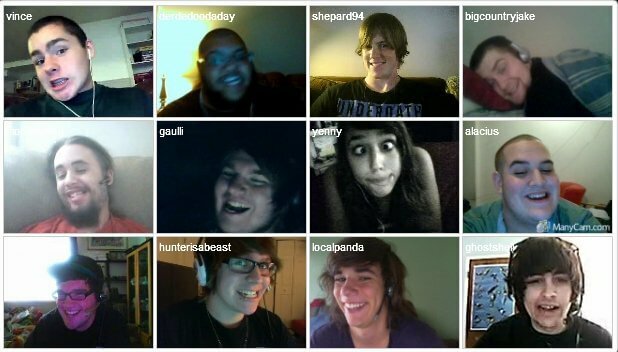 Chat with friends and strangers with TinyChat (www.tinychat.com) online meeting service. There are online chat rooms which you can access by the means of this software. There are both pros and cons of this chat client as there is a dark side of it but you can use it for small business too. With just a few clicks you can create a video chat room where you can add your employees. The free version of TinyChat comes with the advertisement which is not available in pro version of the app. 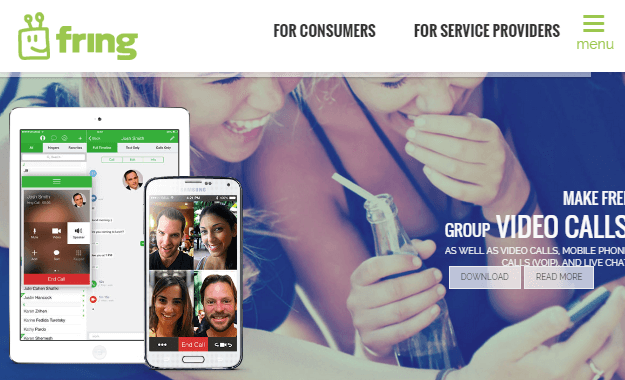 Fring is one of the most secure video conferencing services. You can use this best online meeting service on mobile phones only as it is available for Nokia, iOS, and Android devices. You can make video calls with four users at the same time which will be arranged in a grid on your mobile phone screen. There are not many features available in the online conferencing app. However, you can use it to chit chat with four people using your mobile phones or tablets for free. Manage your online meetings by installing ClickMeeting on your android devices. The app is available for android smartphones and tablets and can be used for web meetings, video conference, or webinars etc. Total 25 people can be added in the video chat with this software and a maximum audience of 1000 people are allowed. Even, you can share documents with your viewers and start a presentation with the help of this amazing video conference service. Create an invite list and add contacts to them using the app. R-Hub is a six in one video conferencing software which you can use for webinars, web conferencing, video conference, audio conferencing. 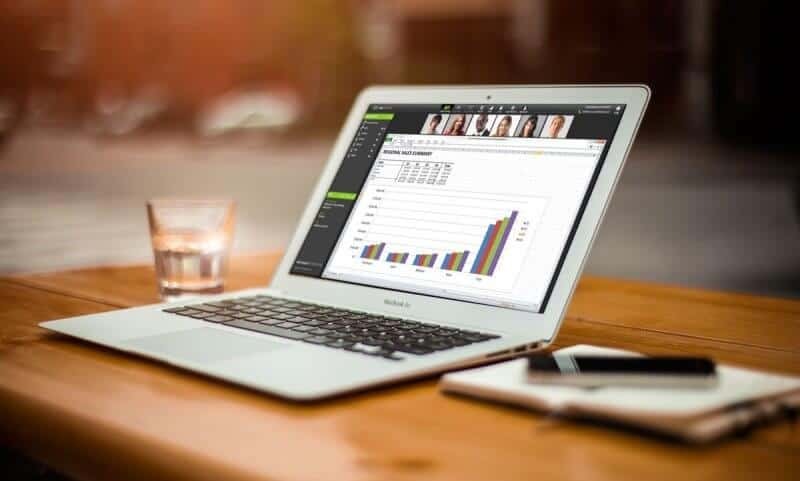 Using the remote access feature of this popular online meeting service, you can take control of your audience. R-Hub video conferencing service will allow you to host 3000 attendees. If you are planning to launch a webinar or organise video conference then simply open the website, share the link and start it. Joining webinars is easy as you don’t have to download and software. R-Hub is a premium software package which you can buy for $1,495. You might also like: How to Extend Trial Period of Any Software? Online video conferencing technology has made online meetings easy and on the go. You can use the video conferencing services for both business and home use and stay connected with everyone. You can check the video conferencing systems reviews before choosing the right client. From those video conference, I always use Skype as the best video conference. It helps me and rich in useful features. Not only that, but also it is very easy to use.